A vessel owner who arranges P&I insurance through a mutual solution with an International Group (IG) P&I Club can boast ultimate insurance protection limits of up to US$8bn against third party property losses (excluding pollution and passenger claims which are limited to U$1bn and US$2bn respectively). 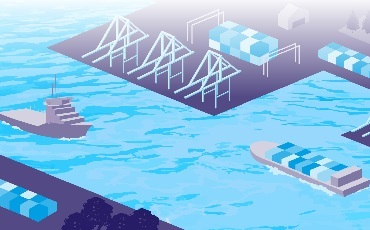 Potential trading partners, such as charterers and oil and gas field operators, as well as port and terminal authorities across the world, welcome the level of comprehensive cover that is provided through the IG pooling system and the security that such an entry provides. The reputation and financial strength of the IG of P&I Clubs means that mutual Clubs are globally accepted as providing the highest levels of security against losses. Many have described this as the gold standard of vessel liability insurance. The high limits of cover provided by the IG of P&I Clubs exist due to the unique risk sharing system behind mutual insurance policies in which the combined resources of the world’s major ship owners can be called upon to respond in times of greatest need through the overspill call. This mechanism is only activated after each Club has pooled the risks collectively through its membership up to US$100m, and then excess of this figure through the general excess of loss reinsurance contract, bound with the highest levels of reinsurance security. Despite this assurance to third parties, it is exposure to supplementary and overspill calls that is often cited as a reason vessel owners choose to defect from P&I insurance within the IG, to place their business with a commercial insurer on a fixed basis. Those willing to forego the value-added benefits provided by the mutual P&I structure, offered through the International Group of P&I Clubs, can opt for a fixed premium solution from the commercial markets. However, such options are becoming increasingly available through the mutual P&I Clubs for owners of certain vessel types, who wish to enjoy the added benefits associated with a mutual club entry. In the final blog in this series we’ll move beyond the mutual approach to explain fixed calls. Access the series of Navigating P&I articles so far.